Marshmallows, the old school way. 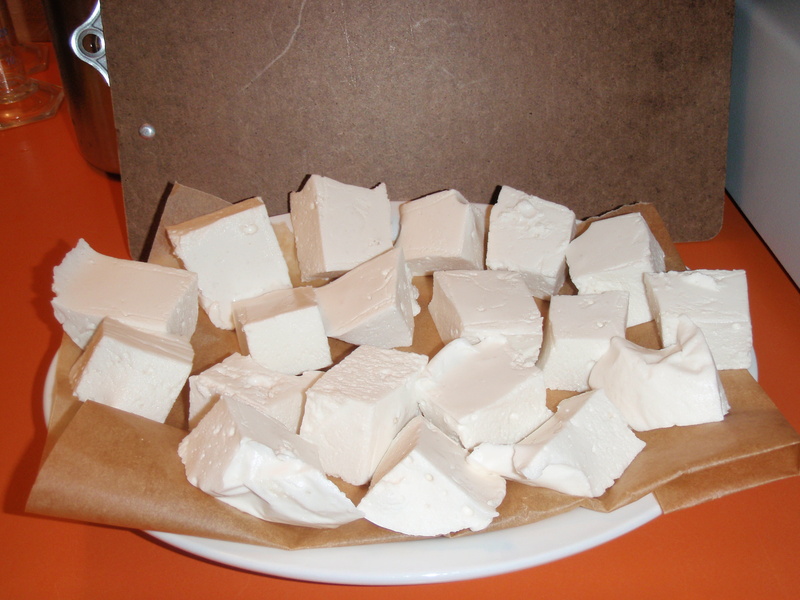 Herb Club today was so much fun, we made marshmallows using marshmallow root. Its so amazing how awesome they taste. After making them I realized how much you could do with this recipe, how many variations you could try. Here is the recipe, have fun!! Decoct marshmallow root for five minutes. Take 1/2 of the decoction and mix with the hydrated gelatin sheets in a bowl, whisk until mixed. Slowly pour the honey/decoction mixture into the decoction/gelatin mixture and whisk to combine. Now you will blend it. Take a mixmaster or an immersion blender with a whisk attachment and mix and mix and mix. It takes about 5 – 8 minutes for this part. Once the peaks form you are mixed. Pour this marshmallow cream into a pan, lined in greased parchment paper. Set in a cool place to set. Setting time takes 2 – 7 hours depending. Once set cut into squares with a sharp knife dipped in water. Options: You could add elderberry or hibiscus flower with the marshmallow root to colour the marshmallows. You could line the parchment paper with a topping such as coconut or lavender sugar and then sprinkle this on top as well. The ideas were pouring out at herb club today. I can hardly wait for bonfire season to begin.